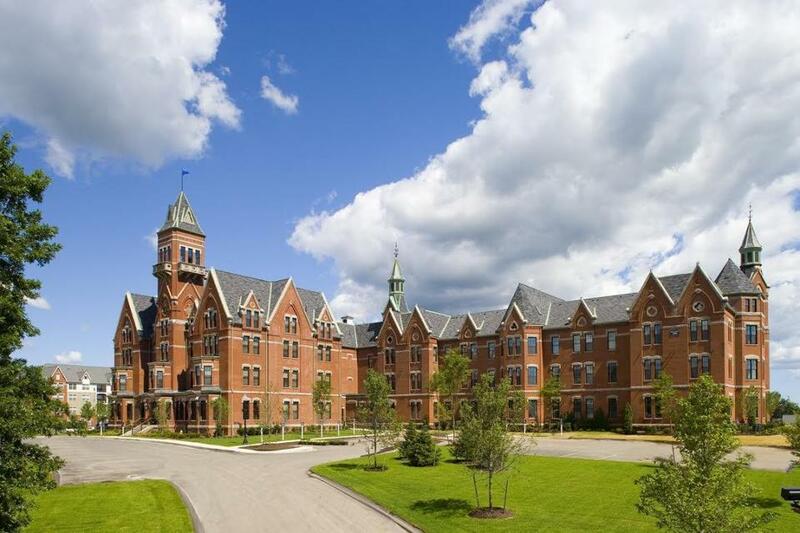 The Kirkbride Building at the Danvers apartment complex the DSF Group just acquired. The DSF Group, a Waltham-based real estate investment and development firm, said it has acquired a large Danvers apartment complex from AvalonBay Communities Inc. for $108.5 million. The complex of 433 rental apartments was called Avalon Danvers; it will now be renamed Halstead Danvers, the DSF Group said. Halstead is the company’s signature brand. The community will undergo extensive renovations and expansion of its amenity spaces. Plans call for the construction of a new state-of-the-art health and fitness center, a yoga studio, a “virtual golf and boxing studio,” a movie theater, and a resident lounge, DSF said. “We are excited to continue expanding our portfolio throughout the Northeast and implementing our value-add strategy of delivering best of class amenities and the highest quality resident lifestyle in the market,” DSF president Josh Solomon said in a statement. DSF recently purchased Shawsheen Place, a Tewksbury apartment complex with 245 units. That complex has been rebranded as Halstead Tewksbury. DSF also has a big presence in the Northern Virginia suburbs of Washington, D.C.